Stuffing a Lexus V8 into a Ferrari maybe a bit controversial. But with 750 hp on tap, you won't find us complaining. The Ferrari F40 LM (Le Mans) was one of the fastest and most powerful cars available at the time when it was unveiled in 1989. 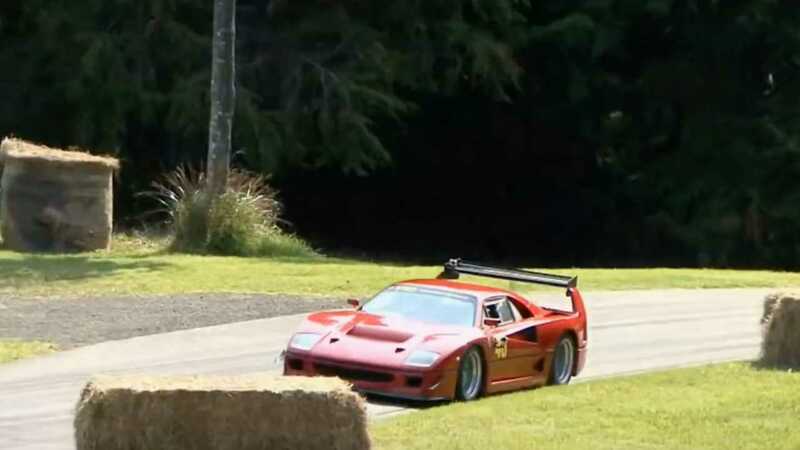 Unfortunately, unlike the standard F40, the LM variant was designed to be driven exclusively on race tracks. While the standard F40 developed 477-horsepower (356 kilowatts) in U.S. spec, and 471-hp (352 kW) in European spec configuration from a 2.9-liter Biturbo Tip F120 A V8. The LM produced an eye-watering 760-hp (566.7 kW) at 7500 rpm from the same engine, thanks in part to two IHI turbochargers and larger Behr intercoolers. The engine sent power to the rear wheels via a five-speed manual transmission. The F40 LM’s top speed was rated at 229 miles per hour (368.5 kilometers per hour), and sprinted from 0 to 60 mph (100 kph) in just 3.1 seconds. Since the Ferrari F40 LM was built on a tubular frame, and had body panels made out of composite materials, the car’s curb weight was only 2315 pounds (1050 kilograms). 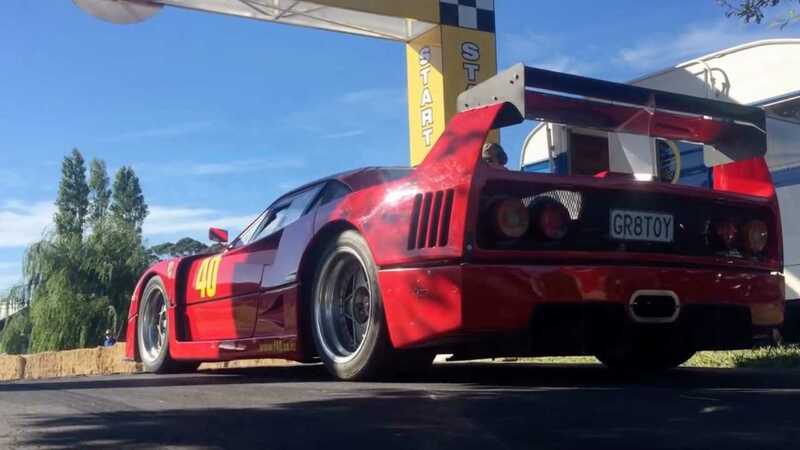 However, the Ferrari F40 LM seen in this video is not a genuine example, but it is a replica built and owned by Steve Cox and is powered by a 4.0-Liter Biturbo Lexus Racing V8. So, if you are a prancing horse purist, you can relax now. 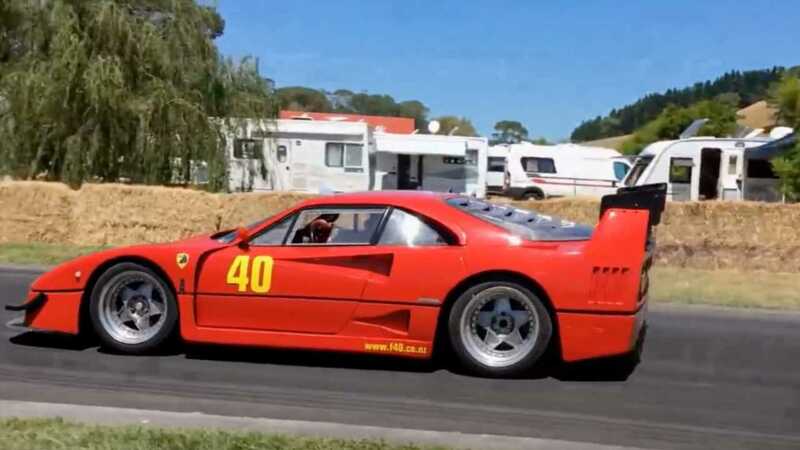 This F40 LM replica was designed and built by Steve Cox in New Zealand in the early 2000s as his passion project. In its current and final stage of evolution, this car produces a healthy 750-hp (10 hp less than the actual F40 LM) and sends power from the engine to the rear tires via a six-speed sequential transaxle gearbox. While its top speed is not disclosed in the video, we can say it with confidence that this race car will easily cross the 200 mph (320 kph) threshold and will sprint to 60 mph (100 kph) from standstill in 3.2 seconds. Like the genuine F40 LM, Steve Cox built the frame for his replica with imported tubular steel. However, unlike the Italian exotic, the body panels for his car were made by using fiberglass, Kevlar, and carbon fiber rather than composite materials. Because of the slight variation in the materials used during the construction process, this F40 LM replica has a slightly higher curb weight of 2645 pounds (1200 kg) when compared to the genuine Ferrari F40 LM. To see this one-off Lexus powered Ferrari in action, check out the video as this monster tackles the challenging hill climb course during Leadfoot Festival’s 2016, 2017, and 2018 editions.